This book is a work of fiction that tells the tale of a slow SHTF event that causes the breakdown of American society. While this book is a work of fiction, the author spins a riveting tale of small group survival as modern society collapses. 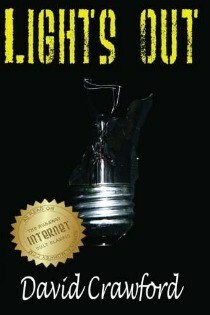 Downloaded from the Internet more than 3 million times before its first printing, Lights Out is a powerful, action packed survival story that has had an effect on the mind sets of millions of people. The story follows the challenges of Mark Turner, dubbed “Karate Man” by his friends, when the lights go out over most of the free world as the result of a massive EMP (Electromagnetic Pulse) Attack. Mark and his family must find a way to survive in the harsh, new world that they have had thrust upon them, while maintaining the virtues and values that our Founding Fathers wished us to uphold. David Crawford is an avid outdoors man who likes to hunt, fish, hike, off-road, and shoot. He is a third degree black belt with the American Society of Karate where he teaches children and adults. He lives in San Antonio with his wife and two children where he is working on his next novel. 1. Team Work: Lights Out portrays an amazing, realistic example of how neighbors can bond together and fend for themselves in a TEOTWAWKI scenario. 2. Modern Equipment: How much do you rely on electronics? Everything from coffee pots to ambulances might be immediately brought to a screeching stop. 4. Mechanical Aptitude: What skills do you have that would benefit your community in times of need? What tools do you have that work without electricity? Can you get that old car running again without power? 5. Who can help you: Local, State and Federal assistance may not come for weeks, months or longer, and when they do it may not be the type of help that you need. Are you ready? 6. Medical: Do you have the basic medical skills necessary to keep you, and your family alive and well? What about modern medicine? Are you dependent on modern medicines? 7. Self Defense: Could you defend you and your family in differing scenarios? This an area that you can learn a lot from in this book. 8. Hunting, Gathering and Farming: Do you have the supplies put back to start a garden? Can you hunt for small or large game for a few weeks? What about a few months or years? 9. Focused leadership: Leading a small group or community is no cake walk. Is your group ready for a long-term disaster? The whole book was very thought provoking, and I learned a good deal about security and defensive measures from the book, as well as leadership methods and dealing with difficult situations. The same warning is placed here as with all other apocalyptic novels: This book has some rather graphic detail and some strong language. It is a great book, but I would use discretion with younger readers. This is THE book that got me into preparedness many years ago, and I can say that it is a well written piece of literature, that is a pleasure to read, whether for the first time, or the fifth. I can in no way do this book a justice in a simple review. IT IS A MUST READ. It is as simple as that, don’t take my word for it, read it yourself.